Today we’ll describe how to recover data from a damaged or inaccessible hard drive encrypted using BitLocker. We will show you a simple case and a case with a damaged BitLocker drive. Such an issue may occur due to the file system corruption on an encrypted disk (for example, a damage to the hard disk area in which BitLocker stores important information caused by an unexpected system shutdown), the inability to boot the OS or the BitLocker recovery console, and similar failures that prevent normal opening of the encrypted data. 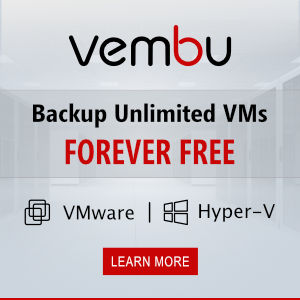 The described problems can arise both with a system disk, and with a removable external or USB disk. 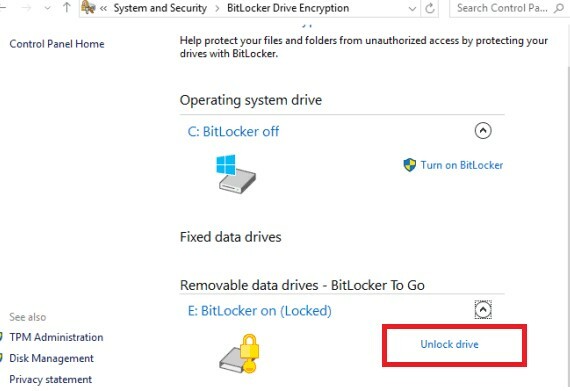 How to unlock a BitLocker encrypted drive in Windows? How to unlock a BitLocker drive where Windows is installed? How to access a BitLocker encrypted drive in Linux? System startup key (.bek) – a key on a USB flash drive that allows you to decrypt the boot partition automatically without requiring the user to input a BitLocker password. 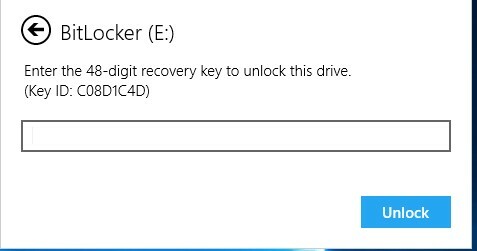 The BitLocker Recovery Key is a unique sequence of 48 characters. 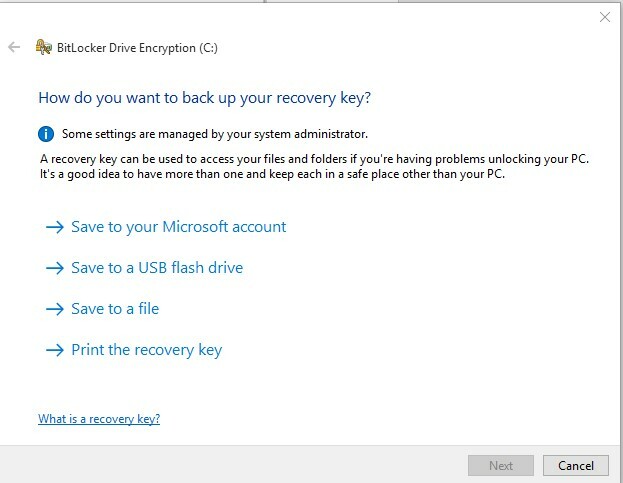 The recovery key is generated when creating the BitLocker volume, it can be printed (and stored in a safe place), saved to a text file on a local drive (this is not recommended, because if this disk is will be damaged, you won’t be able to decrypt your data) or on external drive, or saved to your online Microsoft account. 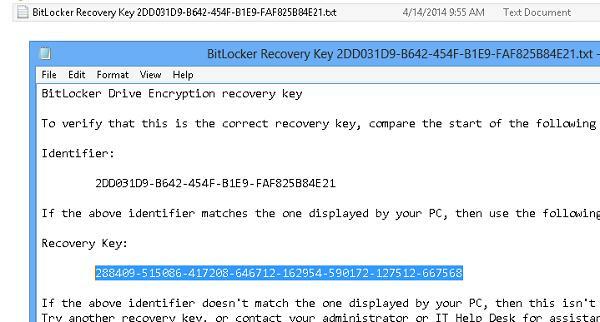 BitLocker recovery key can be found in your account on the Microsoft website. Follow the link https://onedrive.live.com/recoverykey. If you don’t have access to the BitLocker recovery key, then you won’t be able to access your encrypted data. Because BitLocker is designed to protect your files from other users. A few nuances regarding the recovery of data from a BitLocker drive. Data needs to be restored to a separate disk with at least the same size as the encrypted one. During the recovery all the contents of this disk will be deleted and replaced with the decrypted data from the BitLocker volume. In our example, the disk F: (2 GB in size) is a USB stick with the contents encrypted using BitLocker, which won’t open for some reason. To recover the data, we mounted an additional external hard disk Data (G:) with the size of 10 GB. The simplest situation is when you need to unlock an BitLocker encrypted drive from Windows. You probably have an external drive or USB flash drive protected with BitLocker that won’t open, or you want to open an encrypted drive on another computer. Connect the drive to your computer and go to the Control Panel -> System and Security -> BitLocker Drive Encryption (available in Professional and higher Windows editions). In the list of disks, select the BitLocker encrypted disk and click Unlock Drive. Depending on the security method, specify the password, PIN recovery key and connect the smart card to unlock the drive. If you don’t know the password, but the recovery key has been saved, select Advanced settings -> Enter recovery key. If you have multiple recovery keys, you can determine the recovery key you need using the identifier that is displayed in the window. If you specify the correct key, the disk is unlocked and you can access the data on it. Consider a case when your system drive (where Windows is installed) is encrypted using BitLocker and for some reason your Windows doesn’t boot correctly (blue screen of death, hangs on boot, incorrect updates, etc.). Try to run the Windows Recovery Environment (it will automatically start if Windows fails to boot 3 times in a row). If WinRE is not working, you can boot from the Windows 10 installation disk, the MsDaRT 10 recovery image, or another bootable disk. To run the command prompt, select Troubleshoot -> Advanced options -> Command Prompt, or press Shift + F10. The result of the command for one (or several) of the disks should contain the following text: “BitLocker Drive Encryption: Volume D”. So you have disk D encrypted. The password successfully unlocked volume D:. Your disk is decrypted and you can proceed to restore the OS. Restart the computer. Now the Windows boot drive is not encrypted. While executing the command, you’ll have to enter the BitLocker password (the one a user specifies in the Windows GUI in order to access the encrypted volume). To decrypt data on a damaged volume encrypted with Bitlocker, you will need a recovery key or system boot key (if the system partition is encrypted). where 2F538474-923D-4330-4549-61C32BA53345.BEK is a key to run the Bitlocker Drive Encryption on the USB flash drive I: (by default this file is hidden). Note. If the methods described above didn’t help to recover the data from the encrypted disk, it is worth trying to create a sector-by-sector copy of the damaged disk using a Linux tool DDRescue (or any other similar tool to recover data from damaged partitions). When you are done, try to recover data from this copy according one of the previously mentioned ways. You can open a BitLocker encrypted disk in Linux. To do this, you need the DisLocker utility and the BitLocker recovery key. In this example, we use the DisLocker utility in FUSE mode (Filesystem in Userspace), which allows users to create their own file systems without privileges. In FUSE mode, only the block that the system accesses (“on the fly”) is decrypted. At the same time, data access time increases, but this mode is much safer. You should now see all the files on the encrypted partition. I deleted my bit locker drive and installed windows on it!! Since I noticed recovered files and now I have a lot of unknown files (I guess because their encrypted). Is there any way to decrypt this files instead of drive?